The Pregnancy Medical Home program aims to improve birth outcomes by providing comprehensive maternity care to pregnant Medicaid patients. The North Carolina Division of Medical Assistance (Medicaid), in conjunction with the North Carolina Division of Public Health (DPH), and Community Care of North Carolina (CCNC) established an innovative, public-private partnership service delivery model in 2011 called the Pregnancy Medical Home program. CCNC is a nonprofit organization that brings together regional networks of providers, health professionals, social service agencies, local health departments, and community organizations to provide coordinated care through the Medical Home model. The Pregnancy Medical Home program aims to improve birth outcomes by providing comprehensive maternity care to pregnant Medicaid patients. The essential partnerships developed through this program are able to address patients’ risk factors for preterm birth, both in the clinical and community settings. The Pregnancy Medical Home program has two key components. 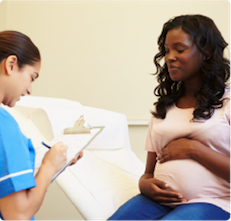 First, CCNC has developed a robust network of clinicians who provide prenatal care to ensure access to maternity services for Medicaid patients. Each of the 14 local networks has an obstetrician (OB) physician champion and nurse coordinator that provide support to local practices and promote program goals. Participating providers are eligible for Medicaid incentives through agreements with CCNC to meet the program’s quality improvement goals, including performing standardized risk screening, elimination of elective deliveries before 39 weeks of gestation, and collaboration with the program’s pregnancy care managers. The second component of the program, administered in collaboration with DPH is pregnancy care management for patients at elevated risk of preterm birth. 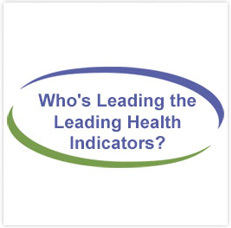 Patients in the Pregnancy Medical Home who have any of the 10 priority risk factors are referred to the program’s care managers, who are trained social workers and nurses from local county public health departments. In addition to ensuring patients have access to prenatal care throughout their pregnancies, care managers also assist patients with transportation to appointments and referrals to other programs like the Special Supplemental Nutrition Program for Women, Infants, and Children (WIC) or behavioral health care. Care managers assist patients in meeting their health and wellness goals, serve as a resource for patients and providers, and are available to address questions and concerns throughout pregnancy and postpartum. In 2012, 80% of the pregnant Medicaid population at elevated risk for preterm birth had contact with a pregnancy care manager.2 Across the state there are approximately 18,000 patients receiving these services at any point in time. Early results suggest the program may be reducing the rates of preterm birth and low birth weight for clients served, but more study is needed.